Bonsai clubs and societies in Australia are an excellent way to gain an insight into the world of bonsai. Bonsai techniques, tools and advice on growing bonsai from expert growers is shared at club meetings. With bonsai clubs and societies in all states it is well worth while joining to gain access to a wealth of experience from experienced bonsai growers. 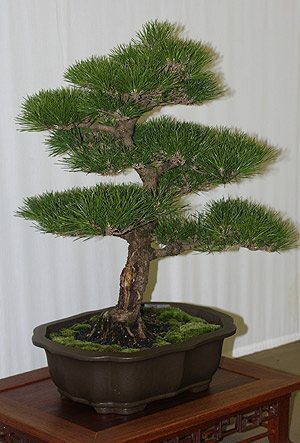 Bonsai clubs also provide an avenue for displaying your bonsai work, meeting other bonsai enthusiasts and gaining access to the latest developments in the art of bonsai. Many Bonsai clubs run annual shows that are open to the public. Meet: 2nd Tuesday of the Month except January at 7.30 pm. Harry Atkinson Art & Craft Center, Coburg Lake Reserve, Lake Gve, Coburg. The Clifton Park Bowling Club, Batman St, Essendon, at 8.00pm on the first Monday of the month (no meeting January). Currently David Nassar. CAMPBELL TOWN BONSAI GROUP Inc. Meetings Ruse Community Hall Oberon street Ruse. 7-30 to 9-30 Monday nights 4 terms exchange news letters and events lists. Features – Guest demonstrators, library, tools,pots etc. The Society has a proud record of promoting Bonsai on the Mornington Peninsula. Provides assistance to other Clubs and Societies by conducting displays, demonstrations and talks at garden clubs, schools and other similar organisations.Interested in Bonsai or would like to learn more about growing Bonsai? President Brian Osborn Secretary Jan McClelland. BONSAI SOCIETY of VICTORIA Inc.
PO Box 889 Bendigo Vic 3552. We assist new members with starting and managing Bonsai’s and help Current members keep up with the latest information. WAVERLEY GARDEN CLUB BONSAI GROUP. Features: Guest Speakers, Work Shops, Trading Table & Library. Fees: Joining Fee $10.00, Annual fee $40.00 a family, $35.00 single & $2.00 if Credit Card used for payment. New members warmly welcomed.